For Medicare Supplement Plans North Carolina, there are several choices, but what is the best Medicare Supplement Plan in North Carolina? The answer to that question is "It depends". I know that is not exactly what you are looking for but please keep reading for a full explanation or call us anytime at 844-528-8688 for a personal consultation on what Medicare Supplement Plan in NC fits you the best. No matter where you live in North Carolina, when you enter Medicare, you need Medicare supplemental coverage that fits your lifestyle and budget. Medicare Supplement Plans North Carolina are readily available without any clinical underwriting throughout your the open enrollment period. See our Medicare Supplement Guide for information on entering into Medicare. To be eligible for a North Carolina Medicare Supplement Plan, you need to have Medicare Parts A and B. Now that you understand signing up for Medicare, it is time to find the best North Carolina Medicare Supplement Plan for you. While rates for Medicare Supplement Plans North Carolina are very important, you need to also look at the company and the rate increase history. What might be the absolute cheapest monthly premium now, could end up very costly down the road. Medicare Supplement Companies tend to come into an area with a very low "introduction price" in essence they are buying new business. After they start building the book of business they will raise the rates significantly to cover the losses. This is just one of the reasons we at Medicare Solutions Team carry over twenty Medicare Supplement Plans North Carolina providers. 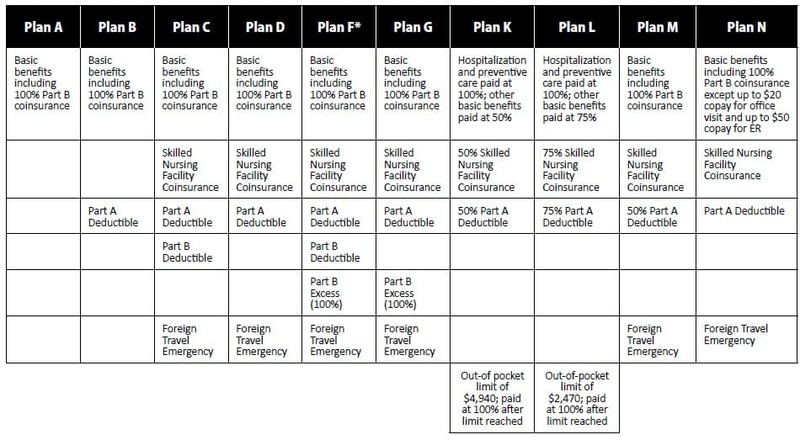 The Plan F Medicare Supplement Plan North Carolina, simply put, covers everything. On the face that seems like a great idea, but there are a few reasons why. 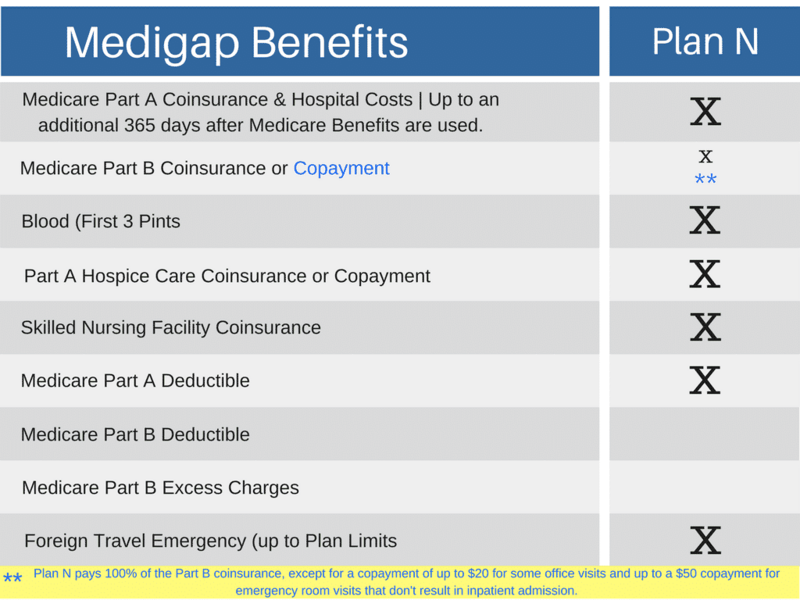 The Medicare Supplement Plan North Carolina that offer's the most coverage for the lowest premium is the Medigap Plan G. The Medicare Supplement Plan G is offers the exact same benefits of the Plan F except that you will pay the Part B deductible. The Part B deductible is set by Medicare and can change, but at this time it is $183.00 per year. The North Carolina Medicare Supplement Plan G is normally $300.00 to $400.00 per year less in premium than the Plan F and historically has much lower rate increases. Now the excess charges could end up not being a problem at all, in fact there are some states that do not allow the excess charges, sadly North Carolina is not one of them. As of last report approximately 93% of doctors across the United States accept Medicare Assignment and if you do your due diligence when looking for a doctor or having a procedure done, it should not be a problem. This carrier list is presented in no certain order and does not include all carriers approved in NC. During Mutual of Omaha’s continual growth period since 1909, they have been rewarded high ratings from national rating services like A.M. Best (rated A+ Superior), Moody’s Investors Services (A1 Good), and Standard and Poor’s (AA-). As a leader in the health insurance marketplace, Humana Insurance Company, established in 1961, has increased their customer base every year by offering quality insurance products that are backed by outstanding customer service. Today, Humana is one of the largest health insurers in the U.S. marketplace and as such, serves more than 14 million policyholders and over 7 million specialty insurance policyholders. Humana enjoys an A- rating from A.M. Best, and an A rating from Standard & Poor’s rating services. Humana proudly boasts revenues in excess of $53 billion for 2017 as a result of quality insurance products and exceptional customer service. Based in Hartford, CT and one of the most popular health insurers in the U.S., Aetna Insurance Company ranks as the third largest health insurers in the U.S. Today Aetna serves more than 24 million policyholders by offering individual health insurance, Medicare Supplement Insurance, Medicare Advantage Plans, and a complete portfolio of life insurance products. Cigna Health Insurance, whose roots are traced back to 1865, offers Medicare Supplement Insurance through two subsidiary companies: American Retirement Life Insurance Company and Loyal American Life Insurance Company. We welcome all of our customers and prospective customers to contact us for more information on Cigna Medicare Supplement and help you determine if Cigna will be the best solution for your health insurance needs. GPM, which is the shortened name for Government Personnel Mutual Life Insurance Company, was established in 1934 with a mission to offer life insurance products to individuals and families either serving in or affected by the war. Since then, GPM has grown to a leading Medicare Supplement insurer that offers Medicare supplement plans A, C, F, F high deductible, G and N to individuals across the U.S. The company currently enjoys a rating of A- from A.M. Best and reports total assets of over $825 million as of December 31, 2017. GPM was formed as a mutual insurance company which means they are owned and controlled by their policyholders rather than stockholders. The company does not share profits with stockholders, rather, they share them with policyholders by way of dividends. New Era Life, a member of the New Era group of companies that consists of New Era Life Insurance Company, New Era Life Insurance Company of the Midwest, and the Philadelphia American Life Insurance Company, is a highly-rated insurance provider of Medicare Supplement products. These insurance plans help the policyholder pay the costs associated with important Medicare benefits that you have worked to obtain. 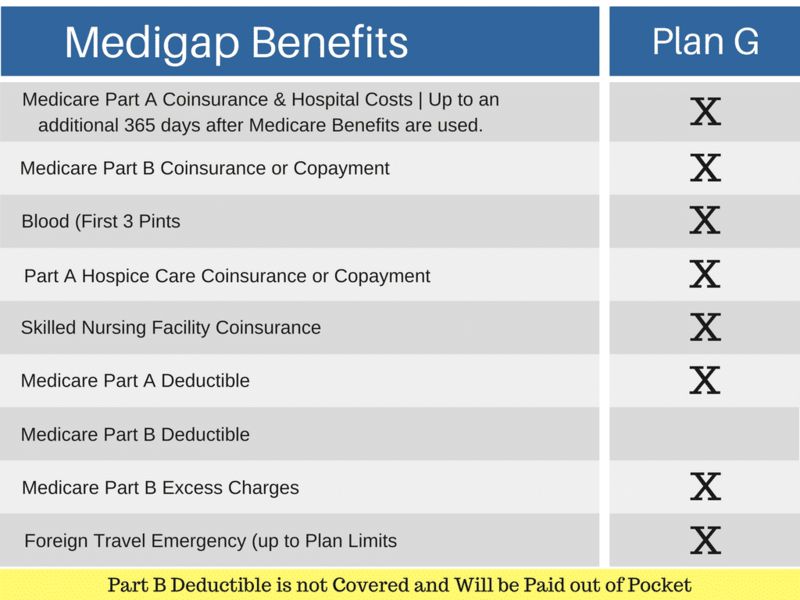 Original Medicare enrollees can look to New Era Medicare Supplement plans to cover the gaps in Original Medicare Parts A and B such as deductibles, copayments, and coinsurance requirements. New Era policyholders can use their Medicare Supplement plan with any health care provider that accepts Original Medicare. New Era offers Medicare Supplement Insurance plans through its subsidiary companies: New Era Life Insurance Company, New Era Life Insurance Company of the Midwest, and Philadelphia American Life Insurance Company. Bankers Fidelity Life Insurance Company, established in 1955, is one of a small group of insurers that specializes in life and health insurance for seniors. 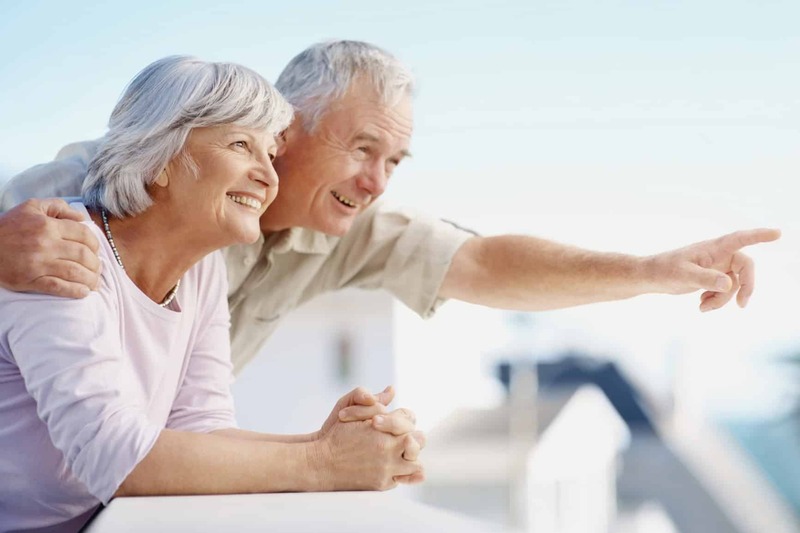 As a subsidiary of Atlantic American Corporation, Bankers Fidelity currently offers life and health insurance to seniors in 46 states and the District of Columbia. When selecting an insurance company, it’s important to know their financial ratings. A.M. Best assigned a rating of A- (Excellent) to Bankers Fidelity and affirmed their financial outlook as stable. This rating was assigned in March of 2018. Although there are more Medicare Supplement Insurers approved in North Carolina than listed above, we believe that those listed are the best to start with when you are shopping for Medicare Supplement plans in North Carolina. For complete details on Medicare Supplement Plans North Carolina, you can reach us by email on our contact us page or by calling 844-528-8688. Remember there is never a fee for our services.